Been to the Costa Dorada or the Villa Marina before? Well you will know the Villa Marina all inclusive hotel is only 1 hour 30 mins away from Barcelona by train. The train station is a 5 mins walk away from the hotel. 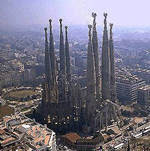 There is no better way to see Barcelona the capital of Catalunya from a different and exciting view for all the family. Cathelicopters and Barcelona Helicopters are helicopter service companies in Barcelona, that offers a unique opportunity to see the city from a different perspective. 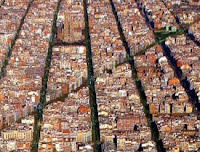 This is a fantastic day for you to take home those different photos and enjoy the thrill of flying above Barcelona. At least 4 persons minimum, 5 maximum, must reserve in order that the trip is carried out, it needs to be reserved with time. Helipad, WTC, Commercial Port, Olympic Port, Olympic Villa, Barcelona Beach, Forum, Besos River and back to the Helipad. 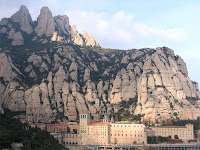 Tour: Recorrido: Helipad, WTC, Commercial Port, Olympic Port, Olympic Villa, Barceloneta Beach, Forum, Agbar Tower, Sagrada Familia, Eixample, Park Güell, Tibidabo, Montserrat, Camp Nou, Olympic Ring of Montjuïc and Helipad. The Villa Marina is the ideal location for you to go off and explore attractions at your own leisure in the area of Costa Dorada and we will give you the help and information you require for you to experience new and exciting adventures. What better way than to have an all inclusive holiday here in this all inclusive hotel and save your spending money for exciting trips like this one.